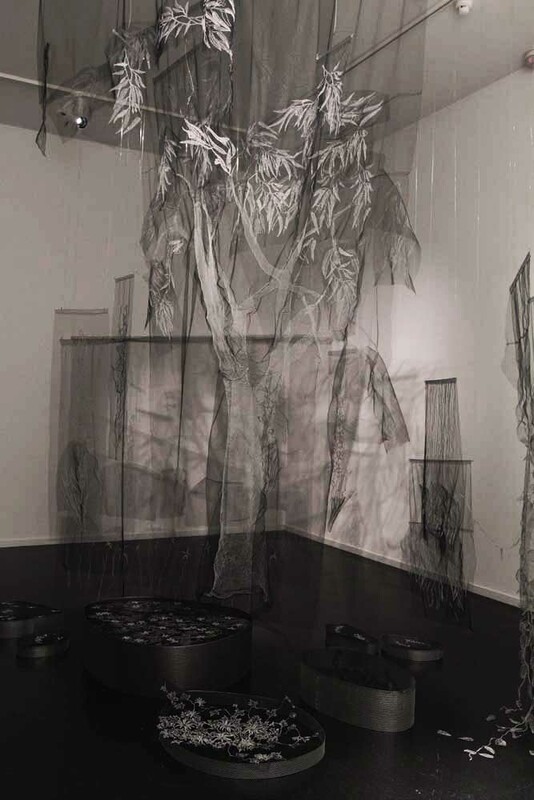 Karen will work closely with the Deakin University Marine Biologists and the lead artist to create the Deep Sea Other World Art Biome, a light active installation using intricate embroidered sculptures to recreate a very deep underwater world. 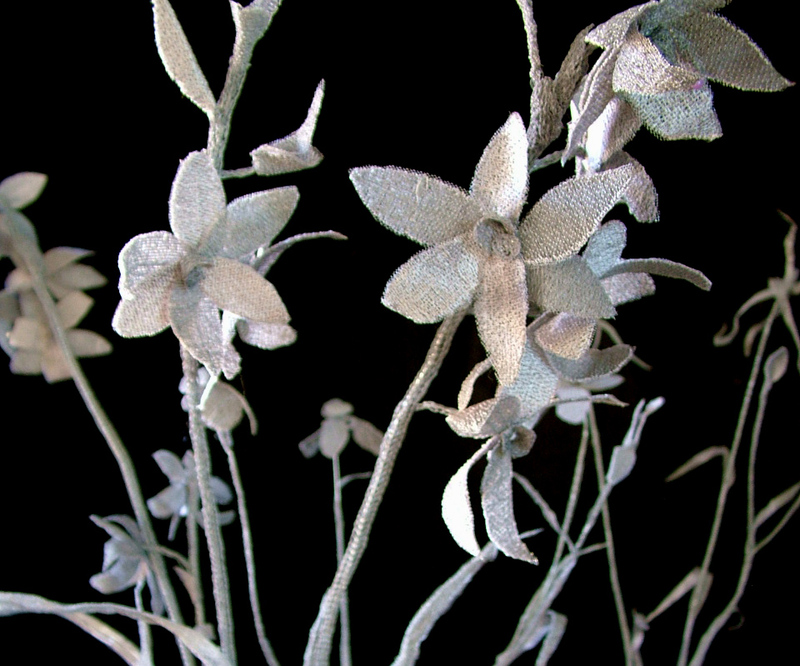 Karen will present an artist floor talk to share the processes and ideas involved in making this work. To Enlarge please “Right Click” on Images, select “Open Link” . Click the “Back Button” to return. Karen Richards. 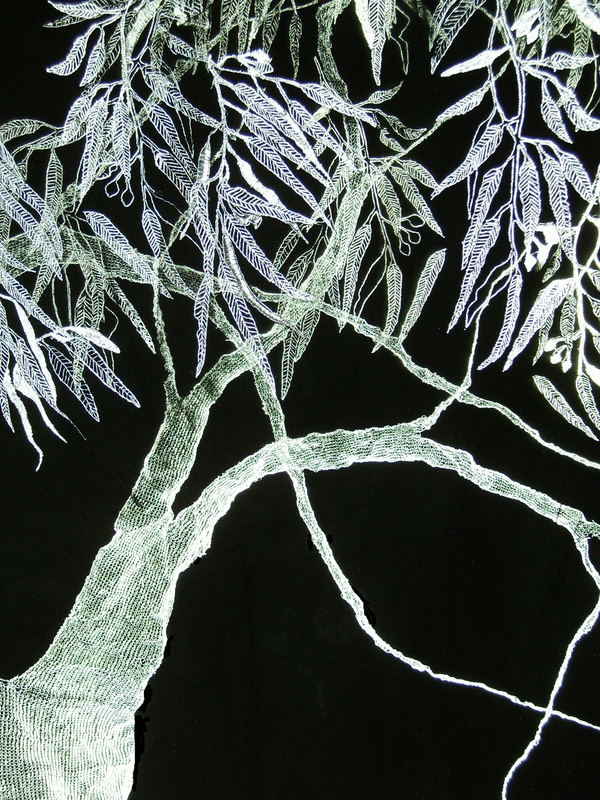 Installation of light reflective embroidery panels showing endangered plants from around Victoria. Film recording made at Warrnambool Art Gallery. This installation is currently on tour nationally.